What Exactly Causes Dandruff Even If You Are Bald? Will Shaving Your Head Cause Dandruff Even If You Didn’t Have It Before? Is It Really Dandruff That You Have? A few years back, well actually a lot of years back, I used to have a full head of hair. It was so thick and bright red that everyone always complimented me on it to the point that it was almost embarrassing. To be quite honest, I wore a hat all the time as a kid to cover it up simply because I didn’t like the attention that I was getting. But I also had another problem, severe dandruff. But here’s the thing, I used to shower daily to once every couple of days. As far as the shampoo I was using, I tried everything under the sun. From Head and Shoulders to Nutrogena T-Gel and even some prescription strength stuff. In short, dandruff used to drive me absolutely nuts. Fast forward several years later, I was at a point where my hair was thinning and I took the plunge and completely shaved it all off. Not only did I have no hair, but now I was hairless with dandruff. Talk about drawing the genetic short stick in life! One of the most common reasons for developing dandruff as a bald guy is due to dry skin. You see when you take a razor across your head you are effectively doing a deep exfoliation as well. This deep exfoliation causes a lot of stress on the sebaceous glands of your scalp and are likely to be dried out. As your skin dries eventually it will begin to flake off causing dandruff. In more severe cases you may also have redness that is accompanying your dry itchy scalp as well. Other key components that may be causing an uptick of dandruff production could be the environment that you are in. If its winter time in the frigid north, or perhaps you are living in a more desert type of state like Nevada or Arizona, this could be a leading factor for dandruff. In more extreme cases, you can actually have too much sebum oil being produced by the sebaceous glands. This event is called seborrheic dermatitis in which an over production of oil will also cause an inflamed scalp and eventually lead to dandruff as well. Everyone is different. Some men may suddenly have an uptick in dandruff where they never experienced it before and others will have their dandruff completely gone once they shave their head. The point is, every man of course is different. 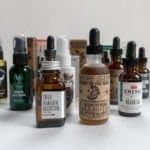 Beyond just the simple fact that everyone produces sebum oil at different rates, the type of razor may cause more pronounced dandruff as opposed to none at all. 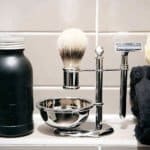 You see there are some men who love to use a double edge safety razor to shave their heads – although we would strongly advise against this simple due to the risk of nicking your head and causing bleeding. 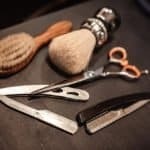 However, if you are using a cartridge razor (which we highly recommend), or perhaps a disposable razor, or even a razor designed specifically for shaving your head like the HeadBlade all of which may have an impact given the number of blades, the sharpness of the razor’s edge and so on. It’s important to test out different blades along with different intervals between shaves. For example, if you are shaving daily, we recommend perhaps seeing if the dandruff subsides if you switch to every other day. In addition to the razor, there are a few other products that you will need to incorporate to ensure that your skin stays well nourished and hydrated to prevent any sort of flaking. While you may think that you have dandruff on your head, it may just simply be that your skin is peeling. We can’t stress this enough, whether its summer or winter, you really should be in the habit of putting sunscreen on your head before you go outside. In fact we would recommend at the very least a SPF 30 as it blocks out 97% of the harmful rays. So while we talked in great details on how to get a close shave to making the absolute perfect lather with a shave soap, we never really have concentrated too much on shaving your head. Now we aren’t one to always recommend the big box manufacturers out there for supplying the best products. However, in our recent review of the best cartridge razors out on the market today, we highly recommended the Gillette Fusion ProGlide – especially when it comes to shaving your head on a daily basis. 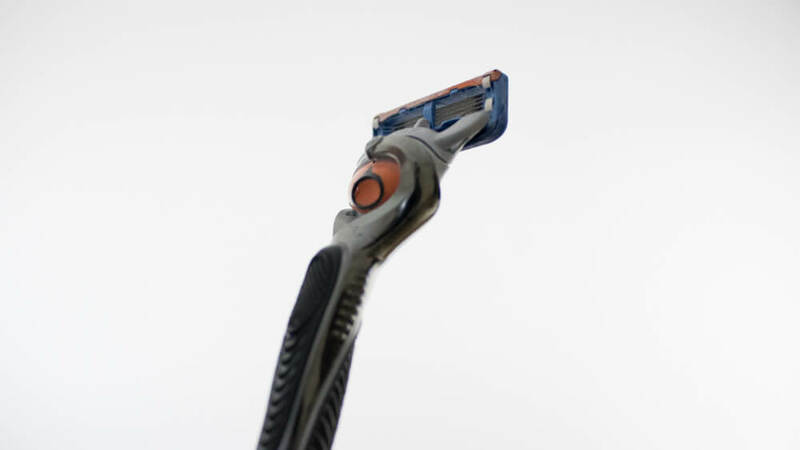 The primary leading reason why we recommend this cartridge razor so heavily is that within the attachment that connects the cartridge head to the handle, Gillette has a Flexball design that is perfect for shaving your head easily and effectively – all without likely never getting nicked once. In addition to the Flexball design, we found that the razor blades themselves cut extremely well and will ensure a smooth dome time and time again. 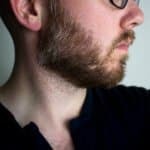 Now if you are like me and don’t get around to shaving your head every day or even every other day, you will want to make sure that you trim it down with balding clippers. Balding clippers are great to getting as close to the skin as possible without actually having a razor blade touch your skin. The purpose of using balding clippers is that it will prevent the cartridge razor from being clogged with every pass – which of course can be a major pain in the neck and also make your shave routine exponentially longer. Now one of the other points worth reminding men is that its key to always take a shower before you shave. While probably 99% of men do this already, this important step should never be overlooked. 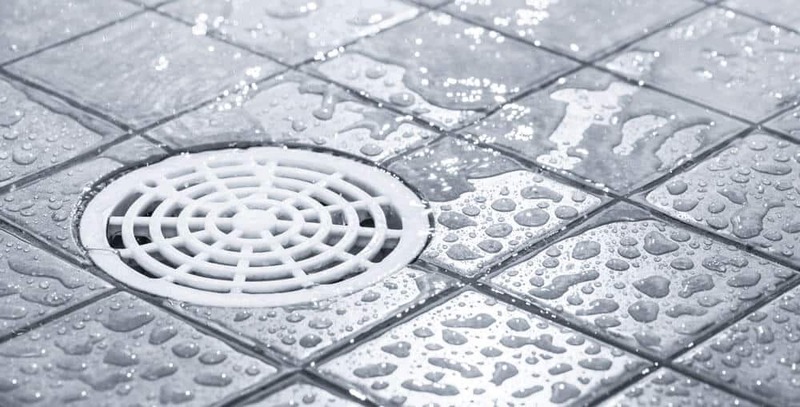 You see when you shower, you help swell up the hair follicles on your head along with opening up the pores. This will ensure a much smoother and comfortable shave without any unnecessary tugging or pulling on your hair. One of the key components that we highly recommend for shaving your head, or even face for that matter is a pre shave oil. Pre shave oil is a carrier oil based solution that will ensure that your scalp is loaded with moisture before the blade ever touches your skin. This is critical in warding off any sort of dry scalp that will eventually lead to dandruff. You see pre shave oil contains carrier oils like castor seed or jojoba oil which is a completely natural oil that is derived from seeds and nuts. 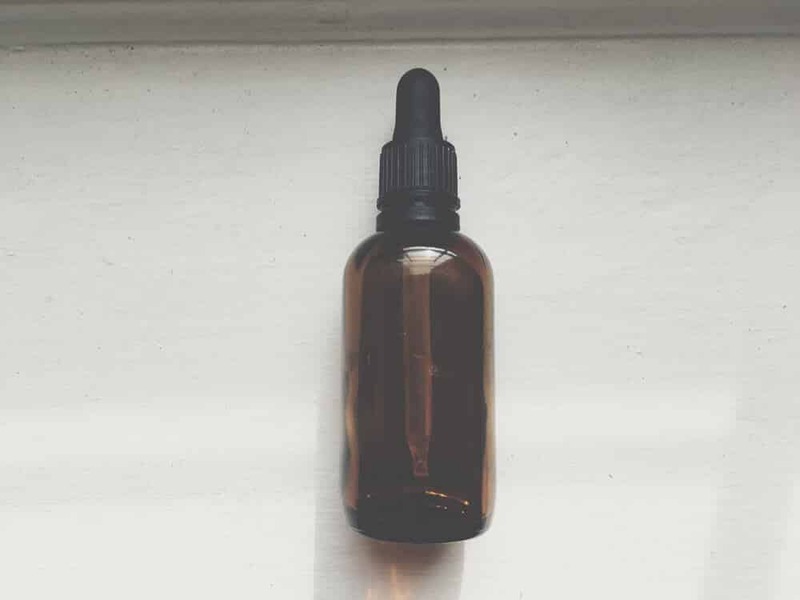 These oils very closely mimic the natural oils your skin produces (sebum oil) and will help to ensure that the razor blade glides effortlessly when passed along your skin. 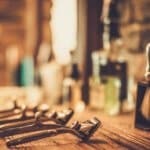 To check out some of the best pre shave oils for shaving your head, check out our in-depth buyer’s guide. Another leading cause that might be making your head begin to flake is the shaving cream that you are using. 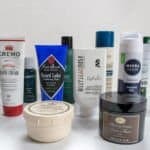 You see when you go to the big box stores and pick up a can of shaving cream, they are typically chocked full of filler ingredients that are highly chemical based and will dry out your scalp considerably. One of the leading ingredients that you need to be on the lookout for is alcohol based ingredients. Alcohol completely dries out whatever it comes in contact with. Therefore instead of a canned shaving cream, we highly recommend a type of shaving cream that both expert barbershops along with men that go with the traditional wet shaving route use: a high quality boutique shaving cream. A shaving cream of higher quality typically will include many more natural ingredients and will be complementary to your skin. These types of shaving creams, like Taylor of Old Bond Street, are incredibly tough to find at your local store. 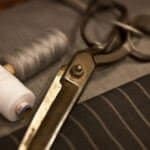 Instead what we recommend is going to a retailer that has products like Taylor of Old Bond Street and so many more that make it extremely accessible to pick up. The point is, that a shaving cream absent of alcohol will likely make the most material difference when it comes to completely getting rid of dandruff on a shaved head. 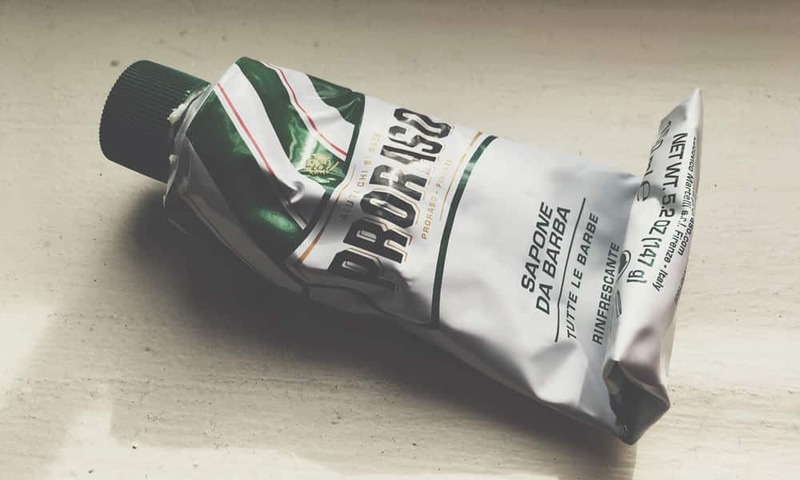 For a full guide on the best shaving creams, check out our detailed reviews. Last but not least, aftershave balm is one of those products that goes wildly under used. Aftershave balms are NOT an aftershave splash or lotion. You see splashes and lotions typically contain alcohol that not only sting when applied to your skin should you have a small nick, but also they will actually dry out your skin leading to a pronounced dry scalp and likely dandruff. On the other hand, balms typically contain moisturizers that will leave you feeling and looking great once you are done shaving your head. Plus balms don’t burn at all. If your head may seem a bit shiny at first after applying an aftershave balm, not to worry. Typically within about 15 minutes of application, it should be fully absorbed into your skin. Now not every man wants to shave their head regularly. Or if you are finding that none of the prescribed methods above are keeping your dandruff at bay, the last option at your disposal will be to use balding clippers. Balding clippers are very much like your regular ol’ Wahl clippers that a barber may use, with the exception that its built for men who are looking to achieve an incredibly close shave without resorting to a razor blade. 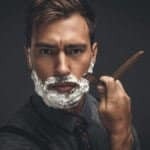 In the same manner as beard trimmers work, if you have extreme irritation while shaving, balding clippers will cut your hair just above the skin which should completely remove any chance of developing dandruff by way of shaving. So balding clippers may be worth checking out. Now of course should your dandruff be severe, we always recommend to talk with your general physician or dermatologist for additional guidance. However, we do believe that following the routine above should be an effective way to completely remove dandruff from a shaved head.